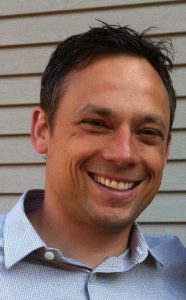 Nate Torhjelm is a Registered Therapeutic Counsellor (RTC #2443) with the Association of Cooperative Counselling Therapists of Canada (ACCT). He is a graduate of Clearmind International Institute with a diploma in Transpersonal Therapeutic Counselling. Nate works with individuals and couples to help unlock those stuck places that may leave them running the same old patterns over and over again. He’s here to support you and to help you uncover solutions that, although they might feel hidden, truly do exist within you. The key often lies in how we view the problem. Often our patterns of thought and behavior are so ingrained that without awareness, we are unable to see new options. As our awareness increases, we become more capable of seeing and choosing a new perspective, one that works for us, not against us. Nate’s heartfelt commitment to you is to be there with you, to guide you, support you, and create safety for you, as you work through a difficult time or personal challenges. No matter how difficult or challenging things may feel right now, with Nate’s help you CAN get to the other side. You CAN experience what you so desire. There is hope. In his practice, Nates uses Attachment theory, Bowen’s Family systems theory, Gestalt method, person centered therapy and Transpersonal counselling. As a shadow facilitator/teacher Clearmind International, Nate enjoys teaching and supporting second year students. It is during the second year of the program that students are taught about practicing one on one counselling and learning about different counselling approaches and models. Over the years, Nate has supported and assisted in several workshops and group therapy sessions. A man who was going through a divorce and feeling estranged from his son started counselling sessions with Nate Torhjlem. With Nate’s guidance and support, he was able to revisit his past and explore his memories of times when he experienced isolation and sadness, feelings he had pushed below the surface. He came to understand that his childhood experiences, abuse, being bullied and a lack of friendships at boarding school, had contributed to who he is, why he acts the way he does and why he had felt disconnected in relationships. As a result, with this new awareness, he was able to make conscious changes and choices in a more grounded and trusting manner; to be who he wants to be and to choose behaviours that create connection with others.